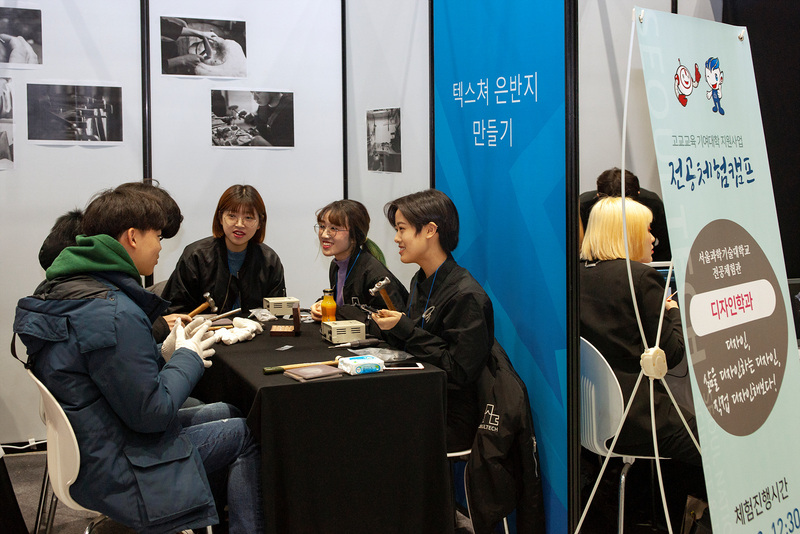 The SeoulTech (President Kim Jong Ho) Office of Admissions hosted the University Major Experience Camp on February 14th at the SeoulTech Gymnasium. Individuals were able to register for the camp through the Ministry of Education’s Dream Road site. Onsite registration was also available. Middle and high school students and their parents and teachers could participate in the camp. 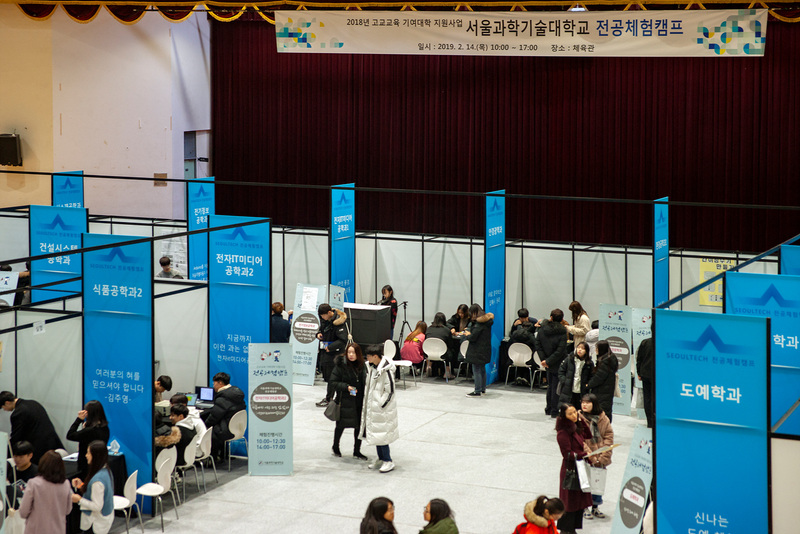 The camp offered separate booths for each major in order to introduce their academic programs and offer separate experiences. The participants were also able to receive counseling by faculty members and current student mentors who offered information on admission. The camp included separate academic booths for Mechanical and Automotive Engineering, Materials Science and Engineering, Civil Engineering, Electrical and Information Engineering, Electronics and IT Media Engineering, Manufacturing Systems and Design Engineering, Environmental Engineering, Food Science and Technology, Optometry, English Language and Literature, Ceramic Art and Design, Metal Art and Design, Design, and other majors. The SeoulTech University Major Experience Camp was hosted as part of the 2018 High School Education Support Project.